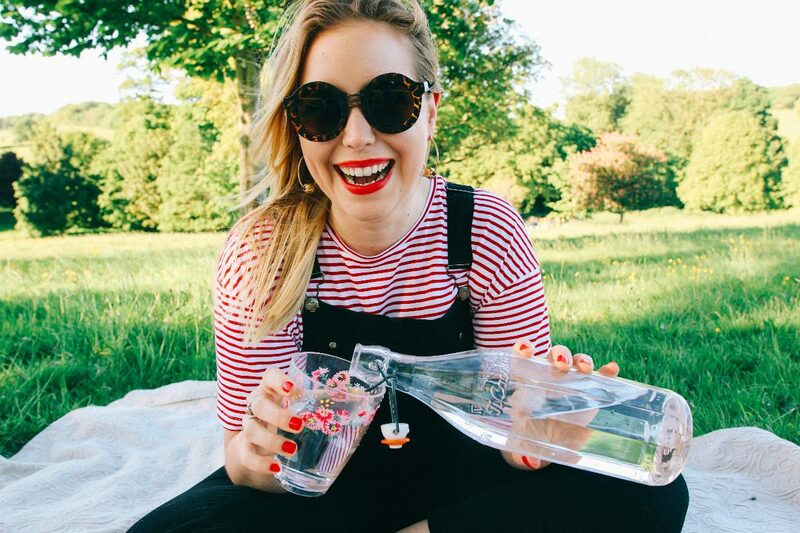 I think by now you will all know just how much I love a good picnic…whether it’s been planned for months and is super over the top, or decided five minutes before grabbing the car keys, you really can’t go wrong when it comes to picnicking in the sun (!!) 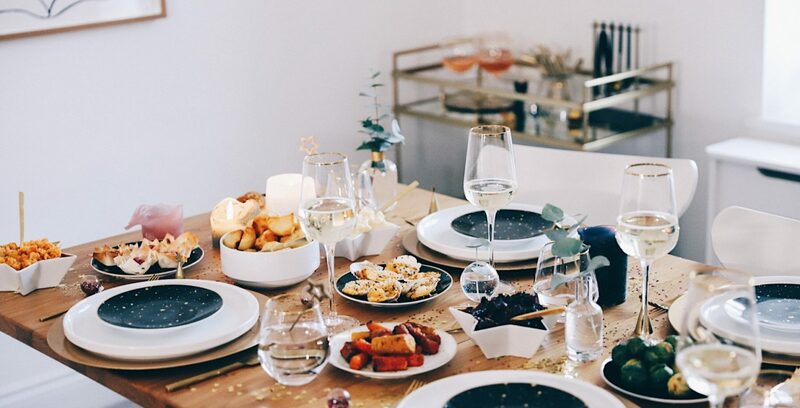 So, seeing as I’m the kinda person who can and will turn any kinda meal into a park themed, sun shining, Prosecco spilling kinda meal, I thought I’d give ya a few tips on how to host a v.v. last minute picnic, cause ya know what, most of the best ones just are! 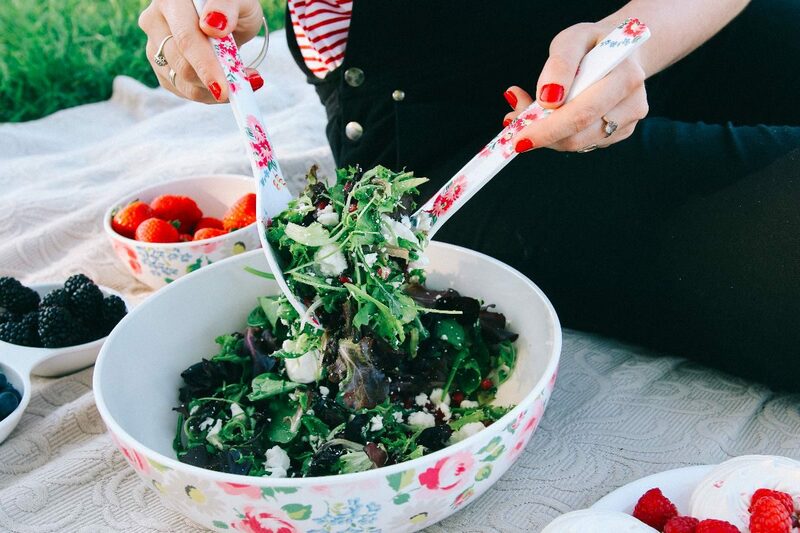 Cut everything into cute shapes, display your salad all fancy and, most importantly, use snazzy picnicware…*Cath Kidston = A LIFESAVER!. 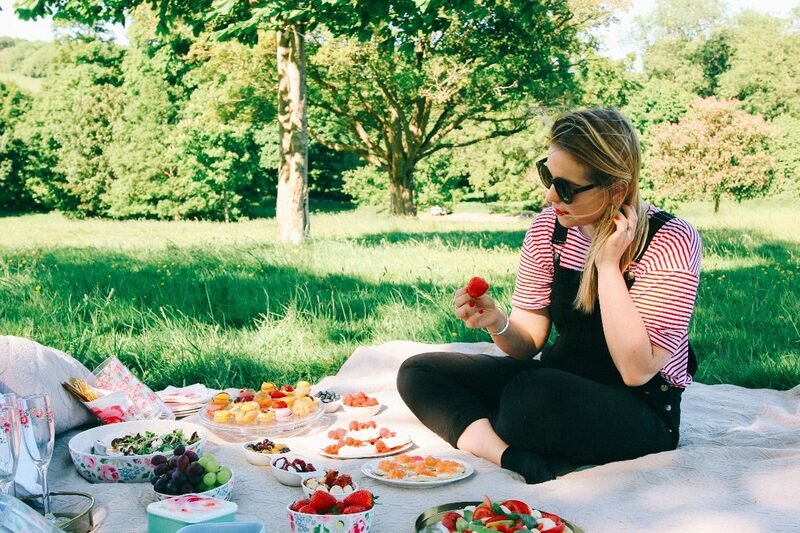 Step three – eat, eat loads, eat it for lunch, eat it for dinner, even eat it for breakfast the next day…I mean, I don’t think I’ve ever left a picnic without a Tupperware box full of leftovers for the next day, have you? Win win win! FRIENDS: Last minute-ness often means that not everyone you invite will be able to make it, but that’s fineeee (!!) 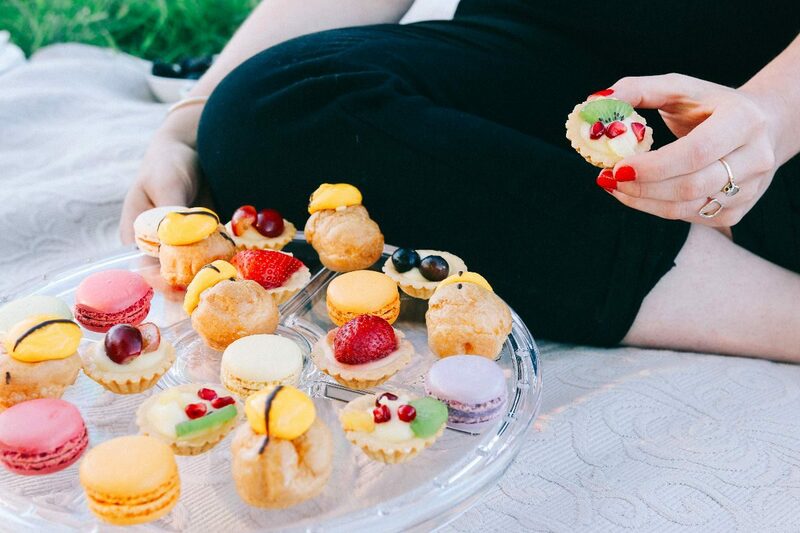 as the lovely thing about picnics is that they really are for anyone…whether it’s just you, or two, or three, they work. And you know what, sometimes, just by chance, everyone is free super last minute which means all the more friends, food and fizz. HURRAH! 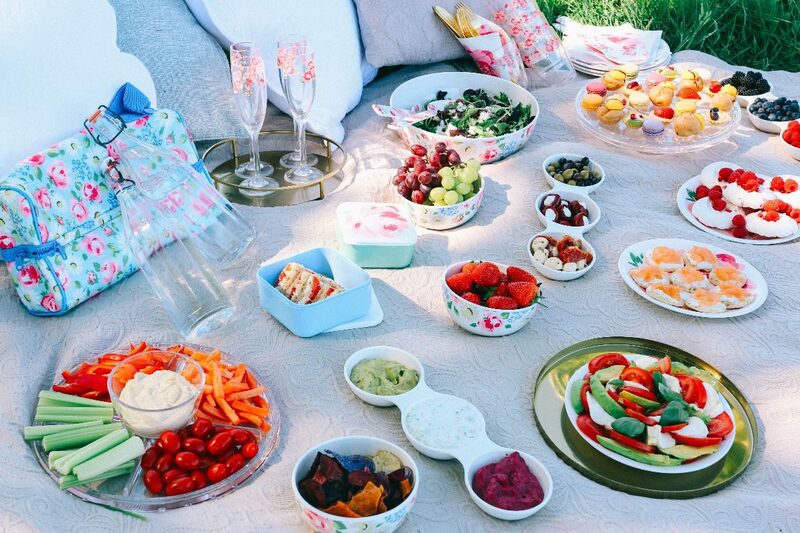 PICNICWARE: Now this, for me, is the most important stage of all. 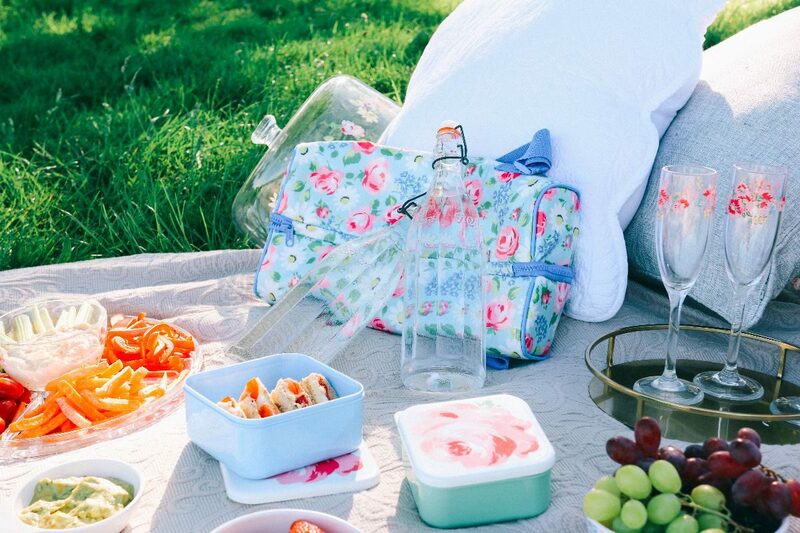 The picnicware. 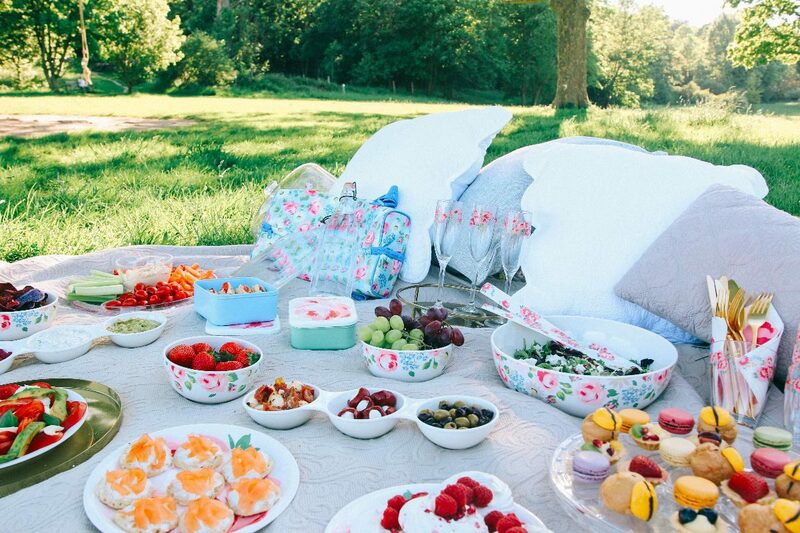 I mean HELLO, just look at how cute this Daisies and Roses collection from Cath Kidston is (!!!) Not only does it have the basics in the form of the cutest plates, bowls and trio trays, (yes, I did just say trio tray!) 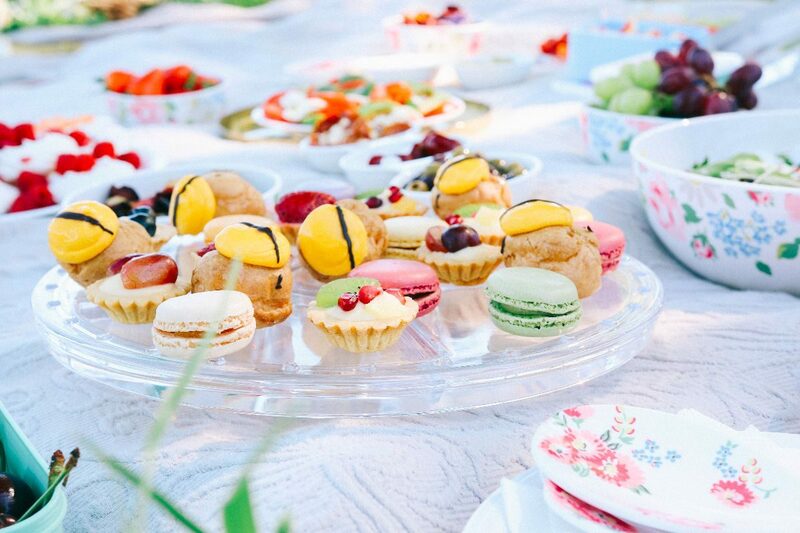 but it also has super fancy things like this insanely amazing cake stand/dip tray…I know right, mind blown. Seriously, when I realised this piece could not only do savoury, but also sweet, I had to take a minute. So handy, yet so pretty. Just too much. There’s also a friggin’ awesome wine cooler that comes WITH glasses and, seriously, just look at those lil’ sandwich boxes sitting there ready for you to pack ya food back up into! Everything is plastic, OH so picnic practical, but also everything matches and is super caaaauuuutte! Let’s face it, even if you have the most sorry looking picnic ever, placed on these beauts it can’t NOT look snazzy!! 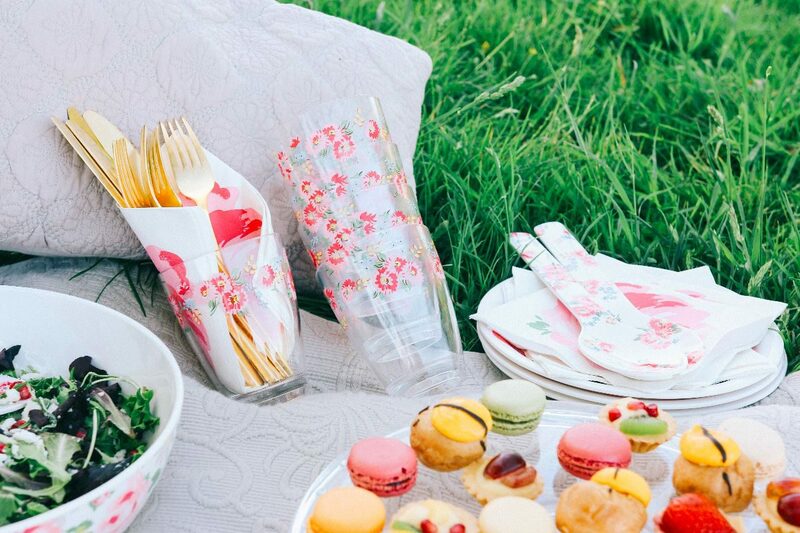 The whole Daisies and Roses collection is available NOW on the Cath Kidston website, and in store, AND there’s even a 20% off promo atm, erm…HELLO ! 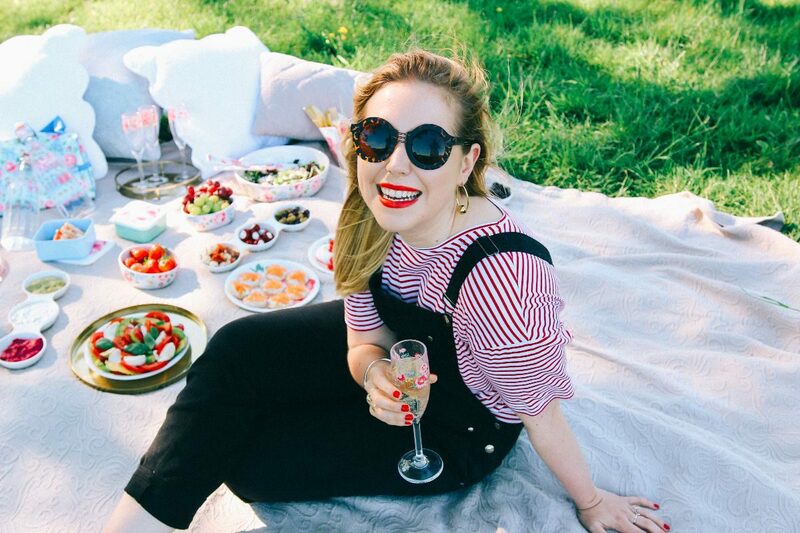 I hope you’ve loved reading this post just as much as I loved shooting it, and not JUST because I got to eat ALL the amazing food…what are your last minute picnic tips and tricks?